TSHolden.com : Who are you? 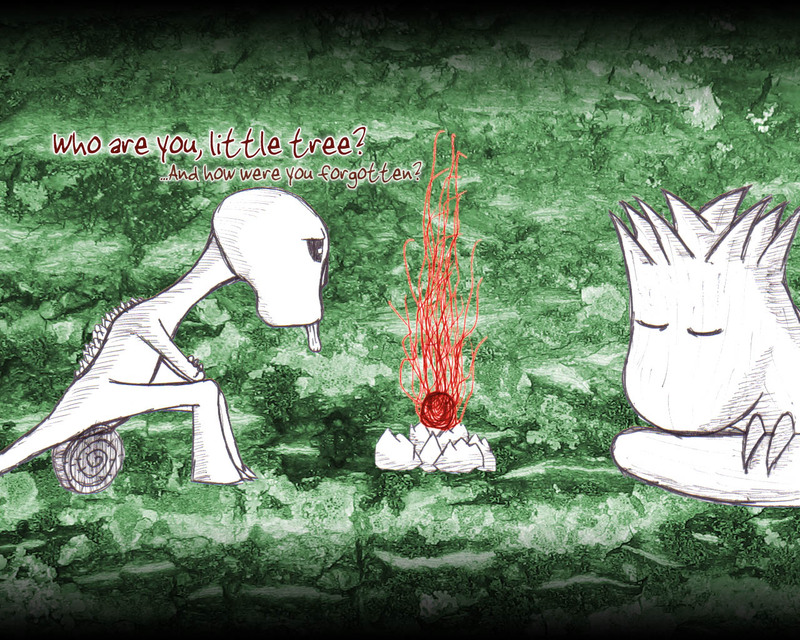 Artwork » Sketch » Who are you? Posted on: June 4, 2007	 Who are you? It's been a while since I made a background, so here one is. It's 1280x1024, for those of you with resolutions like mine. I was extremely happy with the linework with this one, which means that of course I'm extremely unhappy with how this digitalized version came out. Nothing I did seemed to work, so I finally decided on the above setup and stopped. A whole afternoon of very frustrating Photoshop. The scene this depicts probably will not appear in the comic, but if the story strays near this scene I'll link back to this page. Made with pen, paper, and Photoshop.